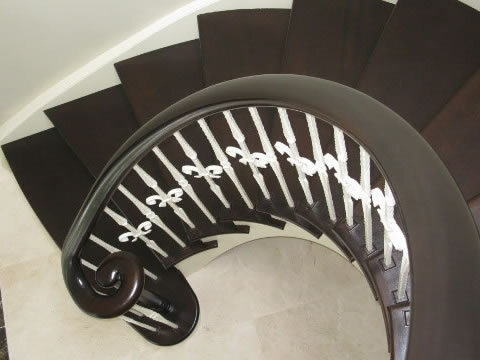 Add greater value to your property with the unrivalled design and craftsmanship you get from Flynn Brothers Ltd. Whether you are renovating an existing building, improving a new purchase or starting on the drawing board, our products add that touch of class. 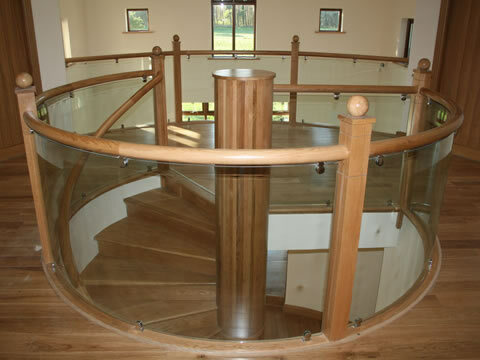 Take a little time to browse our site and learn more about out product range, whether you are looking for a Curved Stairs or to incorporate Steel Stairs or Glass into your design we have the experience and expertise to do this for you. 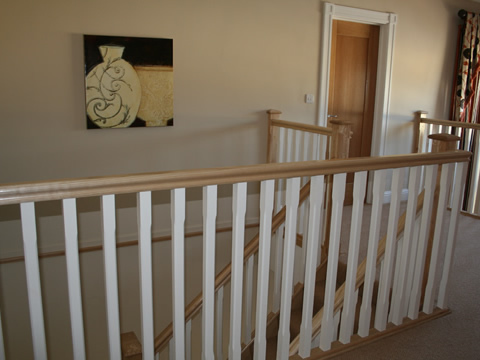 Don’t stop there visit our Stairs section to see the more of stairs we offer, or visit our Handrail section to see some of the options Flynn Bros Joinery can offer. Take advantage of our convenient midlands location to visit our Showroom and see for yourself the inspiring array of products that will greatly enhance your property. Avail of the expert advice and guidance that will assist you in shaping or finalizing your plans. 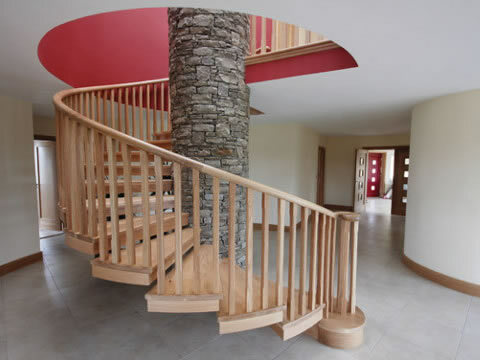 Flynn Brothers provide wooden stairs and stair railings to many fine homes throughout Ireland. 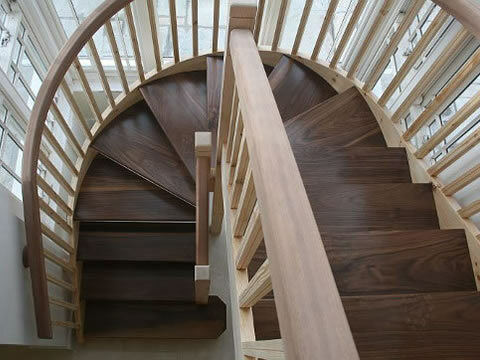 Because the centrepiece of many fine homes is the foyer, we feel honored to work with our customers to help them to create the stairs they want. 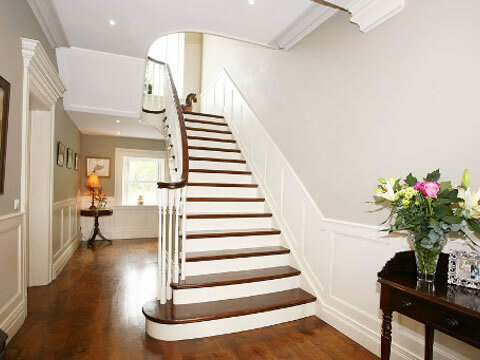 Content This Concrete Stairs is made over three stories with tapered steps and landings formed around an elliptical centre with a traditional scroll and wreath at its base. 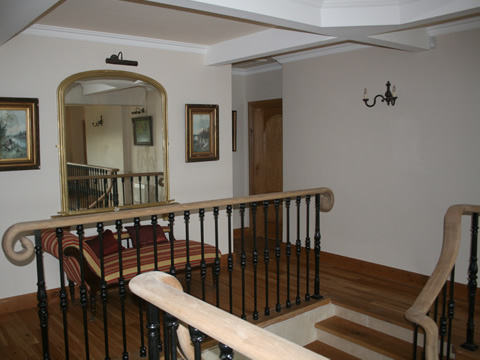 The handrail was fitted on existing steel plate on top of the wrought iron balustrade. © 2014 Flynn Bros. Joinery. All Rights Reserved.